"Performing an supreme act of valor while facing the enemy and risking one's life"
The Medal of Valor (Hebrew: עיטור הגבורה‎,[needs Hebrew IPA] Itur HaGvura) is the highest Israeli military decoration. 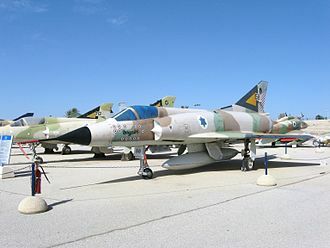 The medal was established in 1970 by the Knesset in an act of law as a replacement for the Hero of Israel military decoration that was awarded during the 1947-48 Civil War in Mandatory Palestine and the 1948 Arab–Israeli War. 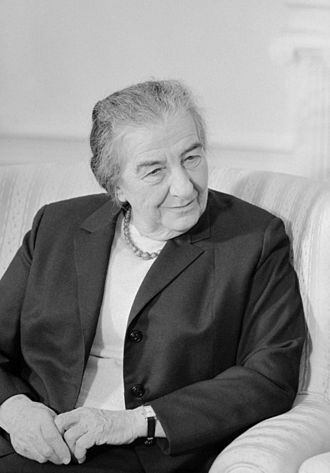 Awards of the medal were also made for actions prior to 1970, and all recipients of the Hero of Israel automatically received the Medal of Valor as well. 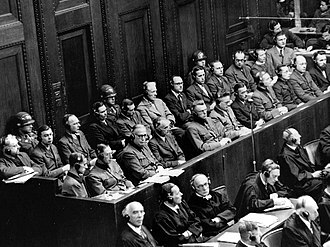 Recipients of the medal receive several privileges such as a tax reduction and invitations to official state ceremonies. 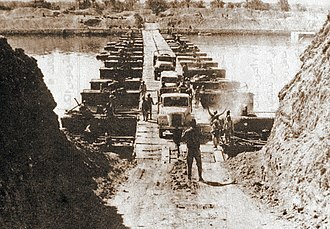 To this day, 40 medals have been awarded: 12 for actions in the War of Independence (Hero of Israel recipients automatically awarded the Medal of Valor), four for the Sinai War, 12 for the Six-Day War, one for the War of Attrition, eight for the Yom Kippur War and three others awarded on other occasions. The medal was designed by Dan Reisinger in the shape of a Star of David. A sword and olive branch decorate the left side, while the reverse is plain. The medal is attached to a yellow ribbon, a reference to the yellow star that Jews were forced to wear during the Holocaust. Two time recipients of the medal attach a small medal-shaped clasp to the ribbon. The medal is minted by the Israel Government Coins and Medals Corporation. It is made of 25 gram silver/935 and the clasp is chrome plated. ^ a b c d e f g h i j "Last Minute News Hundreds of Thousands Jam Tel Aviv to Witness Army Day Parade; Weizmann Decorates H..." Jewish Telegraphic Agency. July 18, 1949. ^ Ofer Aderet (February 6, 2016). 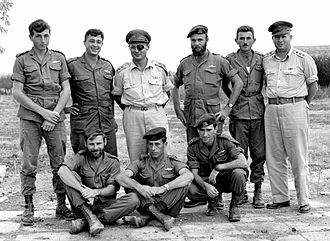 "Israeli War Hero Ron Feller Dies, 84". Haaretz. ^ Uzi Dann (April 19, 2010). "Memorial Day The Fallen Striker". Haaretz. ^ Henkin, Yagil (October 22, 2015). 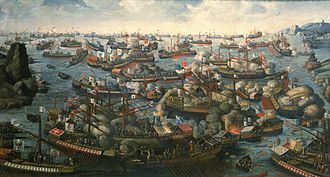 The 1956 Suez War and the New World Order in the Middle East: Exodus in Reverse. Rowman & Littlefield. p. 162. ISBN 978-0-7391-8721-0. Retrieved February 5, 2016. ^ Pressfield, Steven (May 6, 2014). The Lion's Gate: On the Front Lines of the Six Day War. Penguin Publishing Group. p. 227. ISBN 978-0-698-16397-3. Retrieved February 5, 2016. ^ "IDF chief of staff lays flag on grave of fallen soldier". 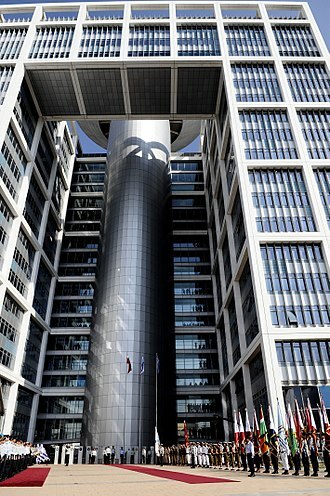 Jerusalem Post. April 10, 2013. ^ Henkin, Yagil (October 22, 2015). 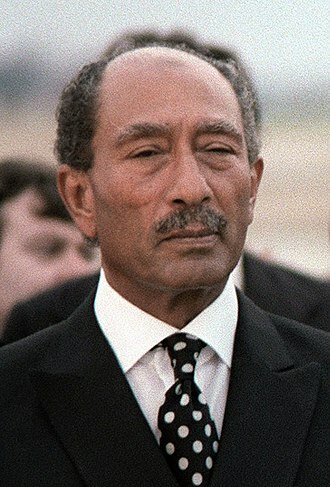 The 1956 Suez War and the New World Order in the Middle East: Exodus in Reverse. Rowman & Littlefield. p. 163. ISBN 978-0-7391-8721-0. Retrieved February 5, 2016. ^ Amir Oren (15 January 2009). "Color Red, White House, Green Line". Haaretz. ^ Dunstan, Simon (2009). The Six Day War 1967: Jordan and Syria. Osprey Publishing. p. 83. ISBN 978-1-84603-364-3. Retrieved February 5, 2016. ^ a b Dunstan, Simon; Dennis, Peter (February 20, 2013). The Six Day War 1967: Jordan and Syria. Osprey Publishing. p. 78. ISBN 978-1-4728-0197-5. Retrieved February 5, 2016. ^ Dunstan, Simon; Dennis, Peter (February 20, 2013). 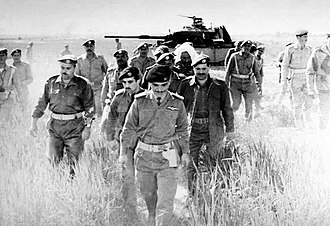 The Six Day War 1967: Jordan and Syria. Osprey Publishing. p. 55. ISBN 978-1-4728-0197-5. Retrieved February 5, 2016. ^ Amir Oren (January 26, 2015). "Desperate journey, stupid act: Why Israelis voters should see right through Netanyahu". Haaretz. ^ Rashba, Gary L. (June 2011). 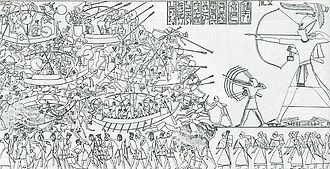 Holy Wars: 3,000 Years of Battles in the Holy Land. Casemate Publishers. p. 215. ISBN 978-1-61200-019-0. Retrieved February 6, 2016. ^ "IDF War Hero: The Soldier Who Lost His Arm and Risked His Life to Strike the Enemy". Israel Defense Force official blog (idfblog.com). October 23, 2013. ^ Avihai Becker (November 13, 2002). "No End to This Bitter Battle". Haaretz. A genizah document from 1121 gives the following description of decrees issued in Baghdad, Two yellow badges, one on the headgear and one on the neck. Furthermore, each Jew must hang round his neck a piece of lead with the word Dhimmi on it and he has to wear a belt round his waist. The women have to one red and one black shoe and have a small bell on their necks or shoes. 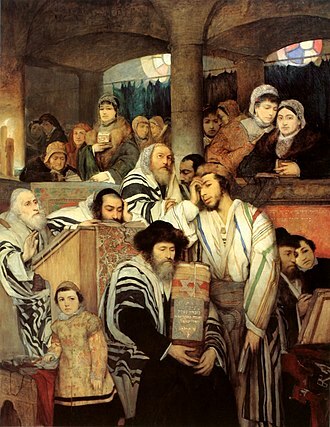 In largely Catholic Medieval Europe Jews and Muslims were required to wear clothing in some periods. These measures were not seen as being inconsistent with Sicut Judaeis, thus it happens at times that through error Christians have relations with the women of Jews or Saracens, and Jews and Saracens with Christian women. Particularly, since it may be read in the writings of Moses, innocent III had in 1199 confirmed Sicut Judaeis, which was confirmed by Pope Honorius III in 1216. In 1219, Honorius III issues a dispensation to the Jews of Castile, spanish Jews normally wore turbans in any case, which presumably met the requirement to be distinctive. 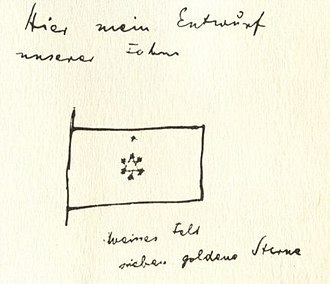 Elsewhere, local laws were introduced to bring the canon into effect, the identifying mark varied from one country to another, and from period to period. 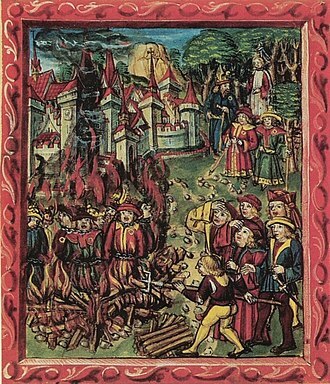 However, these ecclesiastic pronouncements required legal sanctions of a temporal authority, on 19 June 1269, Louis IX of France imposed a fine of ten livres on Jews found in public without a badge. The rota looked like a ring of white or yellow, the shape and color of the patch varied, although the color was usually white or yellow. Married women were required to wear two bands of blue on their veil or head-scarf. 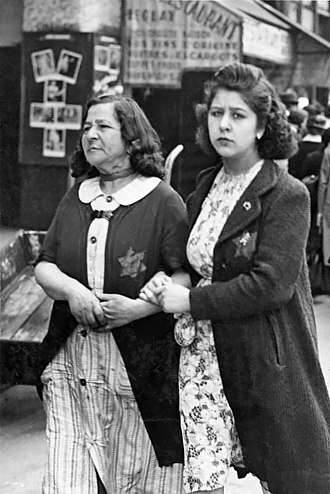 In German-speaking Europe, a requirement for a badge was less common than the Judenhut or Pileum cornutum, in 1267, in a special session, the Vienna city council required Jews to wear a Judenhut, the badge does not seem to have been worn in Austria. There is a reference to a dispensation from the badge in Erfurt on 16 October 1294, there were attempts to enforce the wearing of full-length robes, which in late 14th century Rome were supposed to be red. The Star of David, known in Hebrew as the Shield of David or Magen David, is a generally recognized symbol of modern Jewish identity and Judaism. Its shape is that of a hexagram, the compound of two equilateral triangles, unlike the menorah, the Lion of Judah, the shofar and the lulav, the Star of David was never a uniquely Jewish symbol. During the 19th century the symbol began to proliferate amongst the Jewish communities of Eastern Europe, a significant motivating factor was the desire to imitate the influence of the Christian cross. The earliest Jewish usage of the symbol was inherited from medieval Arabic literature by Kabbalists for use in talismanic protective amulets where it was known as a Seal of Solomon. The symbol was used in Christian churches as a decorative motif many centuries before its first known use in a Jewish synagogue. 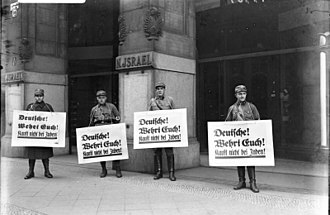 The symbol became representative of the worldwide Zionist community, and the broader Jewish community, the identification of the term Star of David or Shield of David with the hexagram shape dates to the 17th century. The term Shield of David is used in the Siddur as a title of the God of Israel, the hexagram does appear occasionally in Jewish contexts since antiquity, apparently as a decorative motif. For example, in Israel, there is a bearing a hexagram from the arch of a 3rd–4th century synagogue in the Galilee. 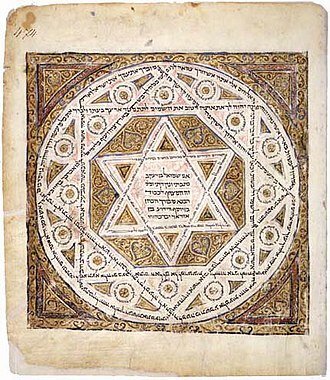 Originally, the hexagram may have employed as an architectural ornament on synagogues, as it is, for example, on the cathedrals of Brandenburg and Stendal. A pentagram in this form is found on the ancient synagogue at Tell Hum, in the synagogues, perhaps, it was associated with the mezuzah. Similarly, the symbol illuminates a medieval Tanakh manuscript dated 1307 belonging to Rabbi Yosef bar Yehuda ben Marvas from Toledo, Spain. A Siddur dated 1512 from Prague displays a large hexagram on the cover with the phrase, turcomans who ruled in Anatolia during the 13th century, inherited it from the Seljuk Turks. A hexagram has been noted on a Jewish tombstone in Taranto, Apulia in Southern Italy, the Jews of Apulia were noted for their scholarship in Kabbalah, which has been connected to the use of the Star of David. Jenin is a Palestinian city in the northern West Bank. It serves as the center of the Jenin Governorate and is a major center for the surrounding towns. 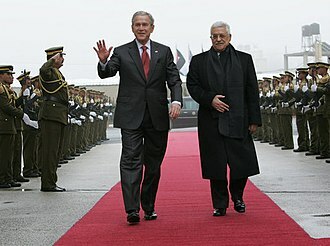 In 2007 the city had a population of 39,004, Jenin is under the administration of the Palestinian Authority. Jenin was known in ancient times as the village of Ein-Jenin or Tel Jenin, tell Jenin, is located at the center of what is today Jenins business district. 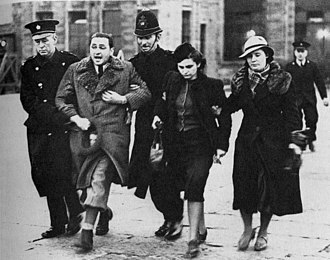 The word ayn means water spring in Arabic and Hebrew, and the word Jenin might be related to the Hebrew word גַּן‎, the Arabicized name Jenin ultimately derives from this ancient name. The association of Jenin with the city of Ein-Ganim was recognized by Ishtori Haparchi. Jenin has been identified as the place Gina mentioned in the Amarna letters from the 14th century BCE, four terracotta lamps of Phoenician origin dated to the 8th century BCE were discovered in Ain Jenin by archaeologist G. I. Harding, and are interpreted as attesting to some form of contact, during the Roman era, Jenin was called Ginae, and was settled exclusively by Samaritans. The people of Galilee were disposed to pass through their city during the pilgrimages to Jerusalem. Dimashki, writing around year 1300, said that after the rise of Turk power, Jenin was listed as one of the places belonging to the Kingdom centred at Safad. Yaqut described Jenin as a small and beautiful town, lying between Nabulus and Baisan, in the Jordan Province, there is much water, and many springs are found here, and often have I visited it. During Ottoman rule in Palestine, Jenin and the Carmel area, were for part of the 17th century ruled by the Bedouin Turabay family, in the mid-18th century, Jenin was designated the administrative capital of the combined districts of Lajjun and Ajlun. There are indications that the area comprising Jenin and Nablus remained functionally autonomous under Ottoman rule, in the late 19th century, some members of the Jarrar family, who formed part of the mallakin in Jenin, cooperated with merchants in Haifa to set up an export enterprise there. During the Ottoman era, Jenin was plagued by warfare between members of the same clan. It borders the Gaza Strip and Israel. Arish is distinguished by its blue water, widespread fruitful palmy wood on its coast. It has a marina, and many luxury hotels, the city has some of the faculties of Suez Canal University. Arish is by a big wadi, the Wadi Al Arish, the Azzaraniq national park is on the eastern side of Arish. 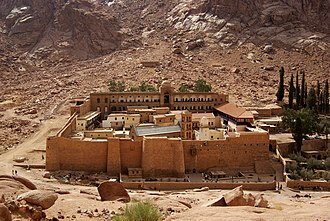 The city grew around a Bedouin settlement near the ancient Ptolemaic Dynasty outpost of Rhinocolura, in the Middle Ages, pilgrims misidentified the site as the Sukkot of the Bible. ʻArīsh means palm huts in Literary Arabic, new fortifications were constructed at the original site by the Ottoman Empire in 1560. 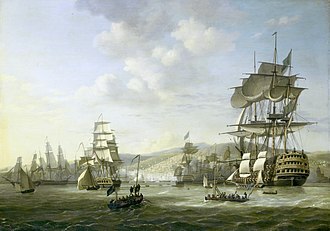 During the Napoleonic Wars, the French laid siege to the fort, during World War I, the fort was destroyed by British bombers. 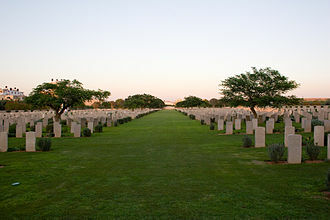 It was the location of the 45th Stationary Hospital which treated casualties of the Palestine campaign, the remains of those who died there were moved to Kantara Cemetery. 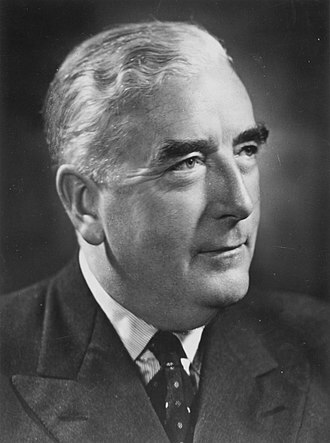 Theodor Herzl, the founder of Zionism, proposed Arish as a Jewish homeland since neither the Sultan nor the Kaiser supported settlement in Palestine, on December 8,1958, an air battle occurred between Egyptian and Israeli air forces over Arish. Gesher is a kibbutz in the Beit Shean Valley in northeastern Israel. Founded in 1939 by immigrants from Germany, it falls under the jurisdiction of Valley of Springs Regional Council and it is situated 10 km south of kibbutz Deganya Aleph and 15 km south of Tiberias. The population is approximately 500 inhabitants and it is named after the neighbouring bridge over the Jordan river, known as Jisr el-Majami in Arabic and as Gesher Naharayim in Hebrew. The original site of the kibbutz, abandoned after the 1948 war, is known as Old Gesher, in 2015 it had a population of 425. They were joined by Jewish immigrants from Poland, Austria, the kibbutz grew up near the Naharayim bridge as a Tower and stockade settlement. The site of the kibbutz was a khan from the Mamluk period to the late 18th or early 19th century, some of the original kibbutz buildings lay within the ruins. 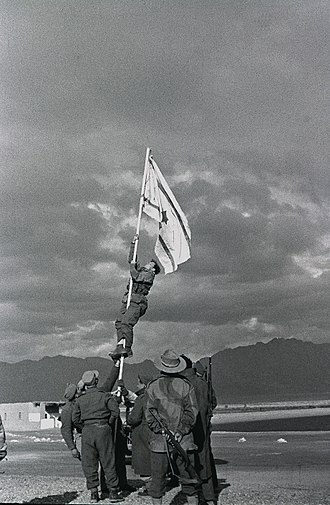 On 27 April 1948, the Haganah took control of the Gesher police station, the Arab Legion, still under British control at the time, ordered them to evacuate it. Gaza, together with the West Bank, comprise the Palestinian territories claimed by the Palestinians as the State of Palestine. The territories of Gaza and the West Bank are separated from each other by Israeli territory, both fall under the jurisdiction of the Palestinian Authority, but Gaza has since June 2007 been governed by Hamas, a Palestinian Islamic organization which came to power in free elections in 2006. It has been placed under an Israeli and U. S. -led international economic, the territory is 41 kilometers long, and from 6 to 12 kilometers wide, with a total area of 365 square kilometers. With around 1.85 million Palestinians on some 362 square kilometers, an extensive Israeli buffer zone within the Strip renders much land off-limits to Gazas Palestinians. Gaza has a population growth rate of 2. 91%, the 13th highest in the world. The population is expected to increase to 2.1 million in 2020, by that time, Gaza may be rendered unliveable, if present trends continue. Due to the Israeli and Egyptian border closures and the Israeli sea and air blockade, Sunni Muslims make up the predominant part of the Palestinian population in the Gaza Strip. Israel maintains direct control over Gaza and indirect control over life within Gaza, it controls Gazas air and maritime space. It reserves the right to enter Gaza at will with its military, Gaza is dependent on Israel for its water, telecommunications, and other utilities. 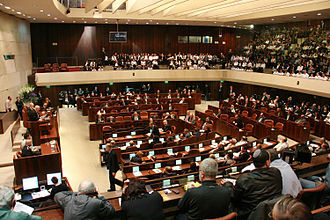 When Hamas won the Palestinian legislative election,2006, Fatah refused to join the proposed coalition, when this collapsed under joint Israeli and United States pressure, the Palestinian Authority instituted a non-Hamas government in the West Bank while Hamas formed a government on its own in Gaza. Further economic sanctions were imposed by Israel and the European Quartet against Hamas, a brief civil war between the two groups had broken out in Gaza when, apparently under a U. S. -backed plan, Fatah contested Hamas’s administration. Hamas emerged the victor and expelled Fatah-allied officials and members of the PAs security apparatus from the Strip, since 2007, the Gaza Strip has been de facto governed by Hamas, which claims to represent the Palestinian National Authority and the Palestinian people. Qalqilya, is a Palestinian city in the West Bank. Qalqilya serves as the center of the Qalqilya Governorate. In the official 2007 census the city had a population of 41,739, Qalqilya is surrounded by the Israeli West Bank barrier with a narrow gap in the east controlled by the Israeli military and a tunnel to Hableh. The vicinity of Qalqilya has been populated since prehistoric times, as attested to by the discovery of flint tools. 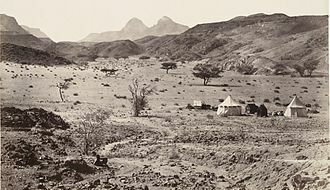 In 1596, Qalqilya appeared in Ottoman tax registers as a village in the nahiya of Bani Sab in the Liwa of Nablus and it had a population of 13 Muslim households and paid taxes on wheat, summercrops and goats or beehives. In 1882, Qalqilya was described as A large somewhat straggling village, with cisterns to the north, according to the Qalqilya Municipality, the modern city was founded in 1893 by residents of nearby Baqat al-Hatab. A municipal council to administer Qalqilya was established in 1909, in the 1922 census of Palestine conducted by the British Mandate authorities, Qalqilya had a population of 2,803, increasing in the 1931 census to 3,867, in a total of 796 houses. In 1945 the population of Qalqilya was 5,850, all Arabs, of this,3701 dunams were for citrus and bananas,3,232 were plantations and irrigable land,16,197 used for cereals, while 273 dunams were built-up land. 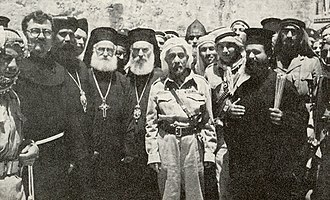 In the wake of the 1948 Arab–Israeli War, and after the 1949 Armistice Agreements, during the war, many inhabitants from nearby and currently depopulated villages, including Kafr Saba, Abu Kishk, Biyar Adas and Shaykh Muwannis fled to Qalqilya as refugees. 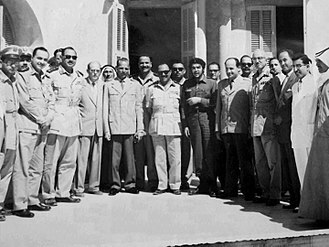 On the night of 10 October 1956 the Israeli army launched a raid against Qalqilya police station, the attack was ordered by Moshe Dayan and involved several thousand soldiers. 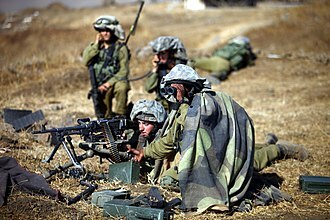 During the fighting a paratroop company was surrounded by Jordanian troops, eighteen Israelis and between 70 and 90 Jordanians were killed in the operation. Qalqilya was occupied by Israeli forces during the Six-Day War in 1967, after the conquest of Qalqilya in 1967, dozens of its inhabitants were evicted by Israel to Jordan, and at least 850 buildings were razed. issued to Soviet military personnel who served in Egypt during the War of Attrition. Australian assault on a pillbox at Giropa Point, January 1943. 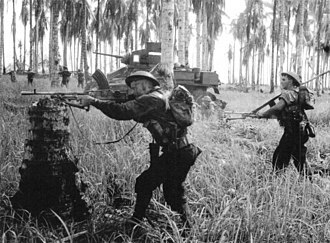 Canadian infantry with a Bren gun during the Defense of Hong Kong. Iraq Suwaydan. 1948 aerial photograph from Palmach archives. Police Station top left. Signs of Negba battles to right. 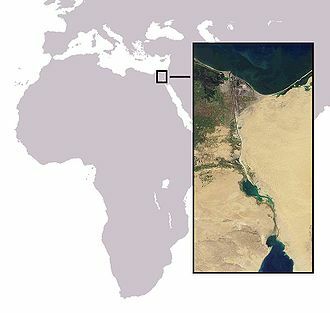 The city of Rafah, split by the border into an Egyptian part and a Gazan part, is located at the center of the image.